Dental fillings are used to fill cavities caused by decay, or to repair teeth that have been damaged by trauma. If a filling in your tooth becomes broken, loose, or lost altogether, the inside of your tooth will become exposed, which might cause a toothache or increased tooth sensitivity. Food can become stuck in the cavity, causing gum irritation. Since your tooth has become exposed, there is also a risk of nerve inflammation and new decay. 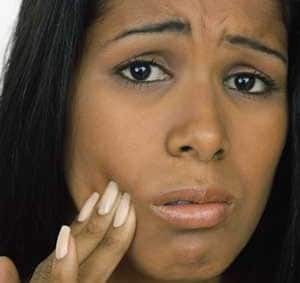 Fillings may break or fall out for various reasons, including general wear and tear, excessive grinding and clenching, a misaligned bite, or new decay under the filling. Until you are able to see the dentist, you should keep the area clean by rinsing with salt water, and avoid chewing on the affected side. If you are in pain, you can also take an anti-inflammatory such as Advil, unless you are allergic. The dentist must determine the reason that the filling failed before recommending a course of action. If at all possible, the dentist will redo the filling. If the filling has failed due to new decay, the underlying decay must be treated before the tooth can be restored.